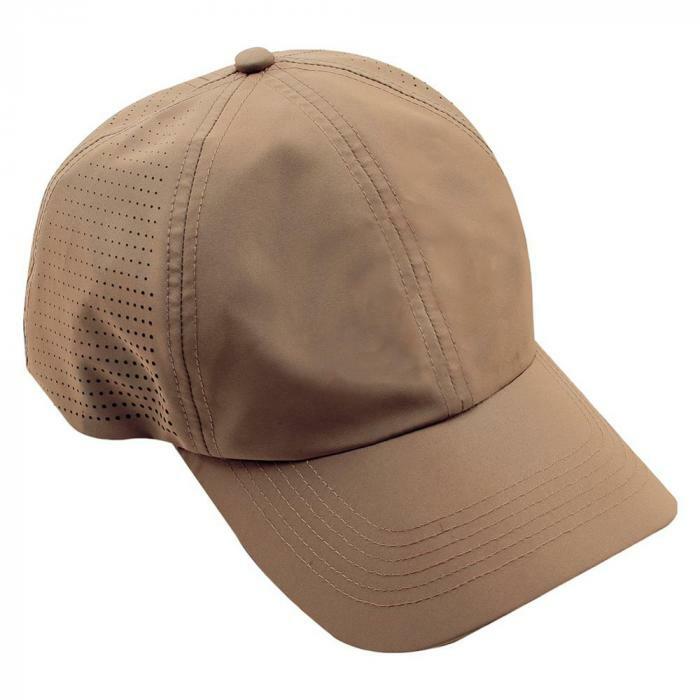 High performance baseball style cap constructed from a quick drying and moisture wicking anti-microbial fabric that provides 50+ UV protection. Laser cut mesh back keeps the wearer cool and comfortable even in the warmest climate. Customize this cap easily by adding the patch of your choice to the loop panel on the front.